Time to go back to school! For many families, August means transitioning from the laid-back days of summer to an increased pace and structure of a daily back-to-school routine. Getting a new school year off to a good start can positively influence children’s attitudes, confidence, social connections and academic performance. Taking time to plan ahead can make this transition as stress free as possible for both parents and kids. Following these suggestions will help to ease back into school routines and promote a successful school experience. INCREASING YOUR CHILD’S FAMILIARITY WITH THEIR NEW SURROUNDINGS helps to decrease any anxiety they might be experiencing about going back to school. Be sure to attend any open houses, orientations or “meet and greet” opportunities your child’s school offers. Tour the school to locate important places (such as the bathroom, library, and cafeteria), visit their classroom(s) and help them find their identified spaces (such as their desk, locker, etc.). Support your child through introductions with their new teachers, the principal, counselor and, hopefully, other children they will share class with to build a foundation for supportive relationships. Let your child play on the playground with others they will see at school or exchange contact information with another parent of a child who will be in the same class to plan a time to get together before the start of school. 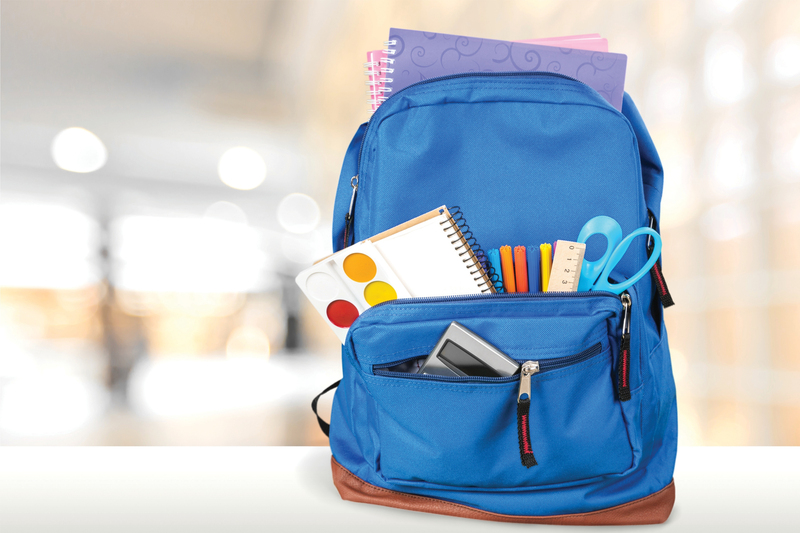 After attending the back to school event, be sure to prepare your child for their daily routine (i.e., how they will get to and from school, lunch menu, daily classroom schedule, etc.). Also, consider reading books about going back to school a week or two before the first day of class to ease the topic and begin discussions. KEEPING A POSITIVE ATTITUDE will help children look forward to going back to school. Remind them of reuniting with school friends they may have missed over the summer or the opportunity to make new friends. Talk with them about activities and successes they have enjoyed in the past (such as a favorite subject, learning to play an instrument or an extra-curricular activity). Also, offer reassurance. It is natural for children to be a bit worried about going back to school. If your child has specific concerns, talk about them and then help him/her come up with strategies for coping or resolving the concerns. Create an environment of open communication so your child knows you’re there to listen to all of their feelings and concerns. REESTABLISH A SCHOOL ROUTINE a few weeks before school starts. Set regular bedtime and wake-up times to be sure your child gets 8-10 hours of sleep per night. Start by beginning their nighttime routine 10 minutes earlier each night and wake them up 10 minutes earlier each morning until they are back to an ideal school sleep schedule. Allow time for a healthy breakfast and after-school snack every day. BE SURE YOUR CHILD IS IN GOOD PHYSICAL AND MENTAL HEALTH to help them start school ready to learn. Schedule appointments with your child’s health care provider, dentist and eye doctor well in advance of the first day of school. Be sure to discuss any concerns you have about your child’s emotional or psychological development at their doctor’s appointment. Their health care provider can help determine if any of your concerns require further assessment. Your child will benefit from addressing any potential issues before school starts. Remember, teachers, administrators, school support staff and your child’s health care provider are all good sources of support in helping you and your child ease back into school. Speak with any of these supports if you have any concerns with your child transitioning that go beyond what you feel are normal back-to-school worries. The Importance of Saying “No” – A blog post about being happier. Is hormone therapy right for you…it’s all in the timing. Your Health Matters Blog | Mercy Medical Center Des Moines © 2019. All Rights Reserved.